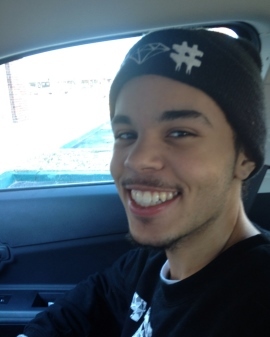 On August 22, 2018, Joshua Tyler Compton-Lewis passed away much too early, at the age of 22. Born on March 20, 1996 in Oklahoma City, OK, Josh attended Norman Public Schools, graduated from Norman High School and then attended OCCC for graphic design. Josh had a very big heart and a passion for helping others. Many, who knew him, knew Josh was a momma’s boy and he and his mother, Karen, shared a special bond. Josh is survived by his mother, Karen Compton of Norman; father, Rodney Lewis of Dallas; grandfather, John Compton and wife, JoAnn of Norman; uncle Bruce Compton and his wife, Macy; cousins Shelly and Stacy Compton of Norman; and many other cousins and family members. Please join us as we celebrate Josh’s life, Tuesday, August 28, at 1:00 at Havenbrook Funeral Home, 3401 Havenbrook St., Norman, OK 73072. Viewing will be prior to the services beginning at 11:00 am until 12:45 pm.